Giant clams are well-suited for aquaculture because they derive a substantial portion of their nutrition from a symbiotic relationship with millions of photosynthetic algae called zooxanthelle, living in their mantle. The direct benefit of this symbiotic relationship to clam farmers is that giant clams can be grown through their entire life cycle with clean seawater and sunlight as the only sources of input. There are three basic phases in giant clam culture: the hatchery, the nursery, and the ocean grow out. 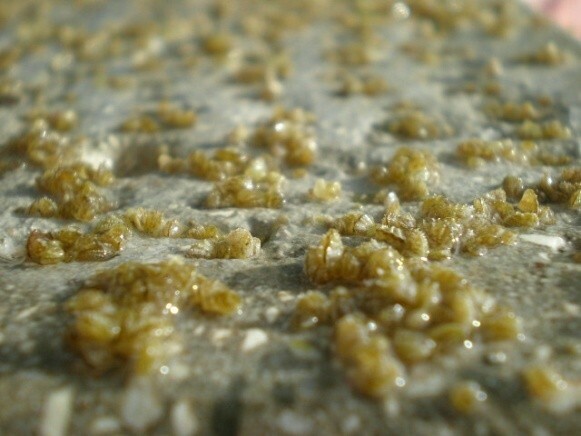 The hatchery phase includes the induction of spawning of selected broodstock and larval rearing in hatching tanks in a control environment for one week, until settlement of larvae. The Atoll Beauties hatchery located in Abatao is capable of producing sufficient numbers of young clams, to supply our existing facility as well as the new farm. The nursery consists of rearing the newly settled clams on artificial substrates, in land-based tanks with free flowing seawater and aeration, until they reach the size of 15- 20 mm. At that stage, clams are ready to be transferred to ocean grow-out facility. Duration of nursery phase varies from 9 to 12 months. The ocean grow-out take place in the lagoon. 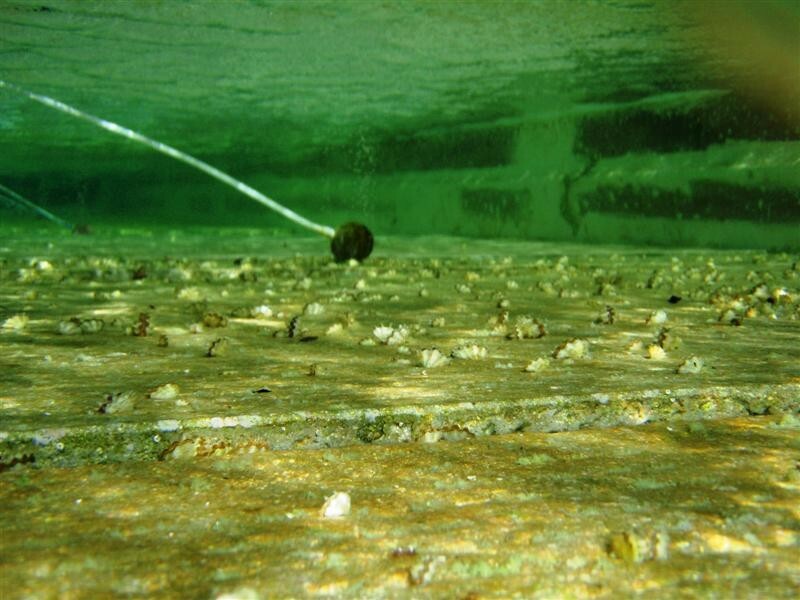 Clams are placed in floating baskets, suspended on a longline system in open water, where they are reared to the marketable size (40-50 mm). 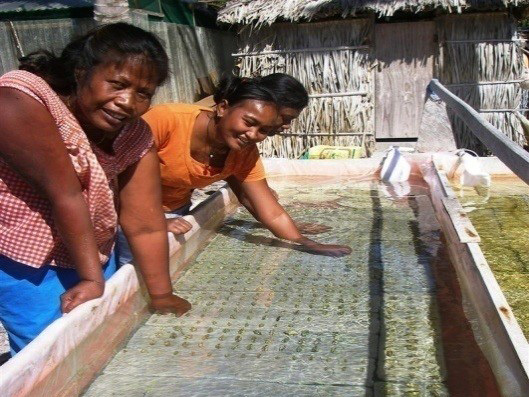 Atoll Beauties provide training, rearing equipment, and seed clams to community farmers. Clams are purchased from the farmers when they reached the desired size for export. We have three grades of clams available. You can choose between Ultra, Colour or Gold and we accept orders with a minimum purchase of 250 pcs. The size of the clams ranges between 35 mm and 60 mm. Once your payment has been received, you can expect delivery within 15 days. All of the required import documentation will be provided. To make an inquiry or receive a quote, please contact us.